A new book is coming this fall from the author of the critically acclaimed book The Strange Sound of Cthulhu: Music Inspired by the Writings of H.P. Lovecraft. ROCKFORD, Ill. - Aug. 22, 2016 - PRLog -- A new book is coming this fall from the author of the critically acclaimed book The Strange Sound of Cthulhu: Music Inspired by the Writings of H.P. Lovecraft. 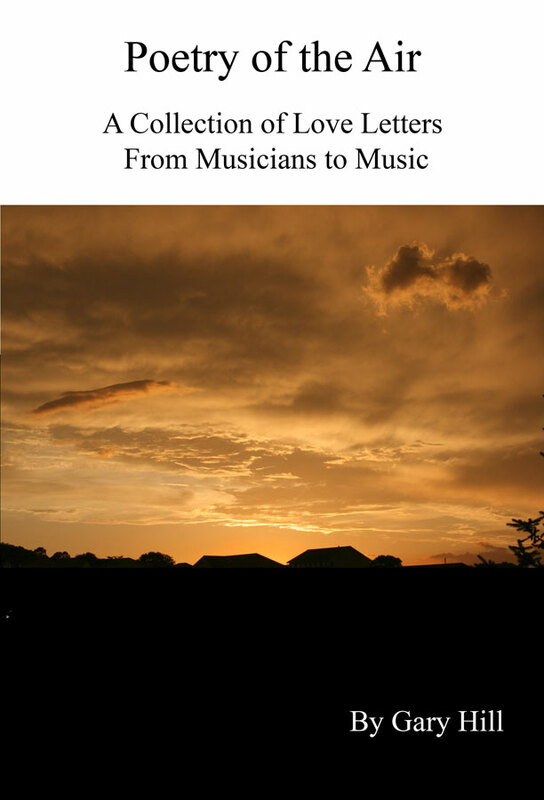 The new book is titled Poetry of the Air: A Collection of Love Letters from Musicians to Music. Written by Northern Illinois based author Gary Hill, it features interviews from musicians from many different types of music. The interviews all focus on the music that inspired the artists. The title comes from a quote attributed to Richter: " Music is the poetry of the air." The book includes exclusive interviews with musicians including Tommy James, Bun E. Carlos, members or former members of bands including Judas Priest, Yes, Rage, Klaatu, Genesis, Hawkind, King's X, Head East, California Guitar Trio, King Crimson, Dream Theater, Uriah Heep, Electric Prunes and many more. The interviews all bring unique perspectives to the passion that is music. Gary Hill has been publishing Music Street Journal (musicstreetjournal.com) since 1998. In August of 2006 his first book The Strange Sound of Cthulhu: Music Inspired by the Writings of H.P. Lovecraft was published. Since then two other books (The Concert Photography of Gary Hill and Strange Realities: The Collected Short Stories of Gary Hill) have been released. Hill has also written for cable television (Cops 2.0 on G4), All Music Guide, Demand Media Studios and more. Two of his short stories are set to appear in an upcoming anthology Rockford Writes 2. There is a facebook page for Poetry of the Air located at facebook.com/poetryofair. A page for The Strange Sound of Cthulhu lives at facebook.com/thestrangesoundofcthulhu. The facebook page for Strange Realities can be found here: facebook.com/StrangeRealitiesGaryHill. All current books from Gary Hill and Music Street Journal are available at lulu.com/strangesound. Music Street Journal resides at musicstreetjournal.com. Although the exact date has yet to be determined Poetry of the Air: A Collection of Love Letters from Musicians to Music should be released this fall. All requests for information should be directed to pr@musicstreetjournal.com.